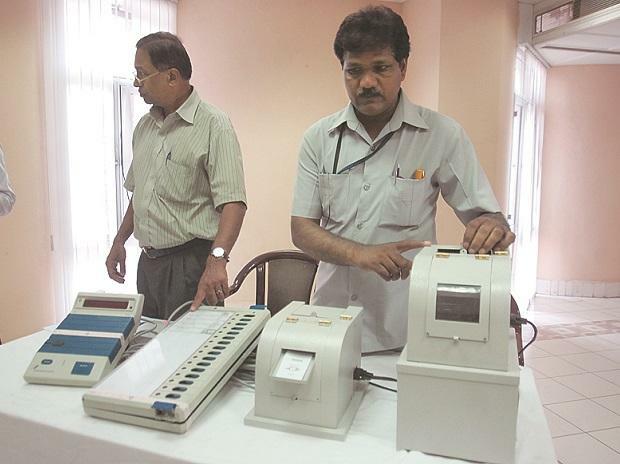 As many as 6.81 lakh sticks of red sealing wax and over four lakh candles will be used in Maharashtra to keep the electronic voting machines (EVMs) secure after the Lok Sabha polls next month. After the election, the fate of candidates will be sealed in the EVMs. These EVMs, their control units and the VVPAT machines, being used the first time, are to be kept firmly secured and for this sealing wax is used, an official release said. "For this, six sticks of sealing wax per polling centre will be used and total 6.81 lakh sealing wax sticks will be required," it added. This is probably the first time in elections that such a huge quantity of red wax will be required. The red sealing wax has its own importance in the government machinery as it is used for sealing the documents, evidences or government material. It plays an important role as far as the safety and security is concerned, the release said. "After the general elections, the EVMs and material related to them is kept secured and sealed with the help of this sealing wax. The seal is opened on the day of counting. "Earlier, when voting was conducted using paper ballots, the ballot boxes and other material were sealed. Now, EVMs along with their control units, VVPAT machines, etc are sealed," it said. This requirement is sent by the Indian Security Press to the Election Commission of India (ECI) and from there to the State Election Office, the release added. This sealing wax is melted to seal the EVMs. For this, candles are provided by the ECI. ALSO READ: Podcast: How feasible is Rahul Gandhi's NYAY scheme electoral promise? "To melt the sealing wax units on such a large scale,4,55,000candles will be required. This demand is placed by the State Election Office to the ECI," the release said. Besides, erasers, papers, pencils, ink, etc material is also sought on a large scale, it said. The 48 parliamentary constituencies in Maharashtra will go to polls in four phases next month- on April 11, 18, 23 and 29.